We will educate and thereby empower you to make healthy choices as you integrate our recommendations into your life. We offer a growing list of supporting therapies to aid in your healing and promote the longevity of your life. We are sensitive to your individual needs and strive to ensure that you have the best experience possible. Our comprehensive services utilize the latest equipment and result-oriented techniques to assist you in achieving optimal health. We recognize that good health is more than just an absence of symptoms. It is our heartfelt desire that you be whole in body, mind, and spirit. originally developed and mastered by Dr. Royal Raymond Rife. Research has shown that the Beam Ray “light therapy” has demonstrated the ability to decrease and even stop symptoms of pain with virtually no side effects. The Beam Ray is simply set to your frequency of choices and runs during your colonic session. Users have reported success with Lymes Disease, Pneumonia, Colds/Flu, Diabetes, Hepatitis C, Immune System Enhancement, Herpes, Parasites, Viruses, Bacteria, Fungus, Shingles, Fibromyalgia, Chronic Fatigue and Allergies. 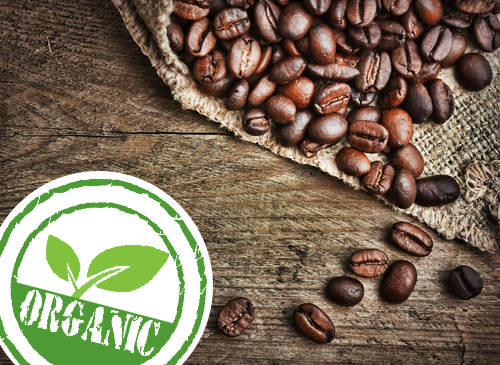 Organic Coffee with Cholorella PB implant can help with all sorts of conditions. Lots of people find help with constipation, fatigue and liver detoxification concerns. Lets add some of the benefits and who this kind of therapy would work best for. We carry this product in our office lower than you can buy online. The “Miracle Clay” is from the Nevalite Mine and is one of the purest forms of White Montmorillonite. 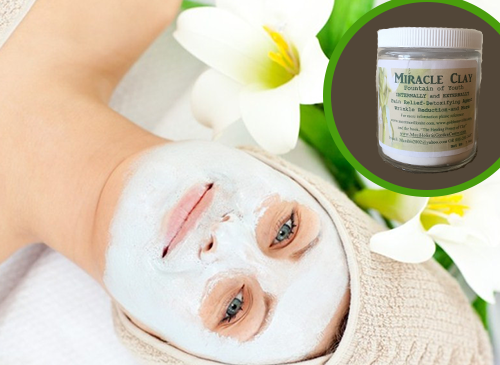 Miracle Clay is an extremely effective detoxifying agent with health benefits and ionic energy. 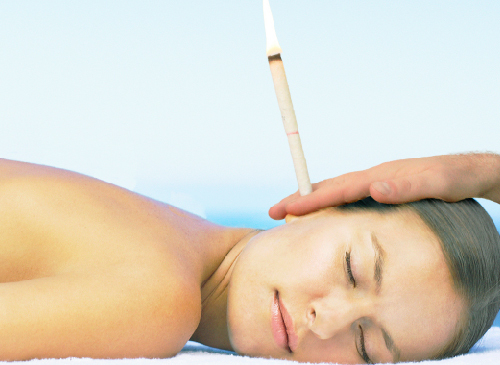 Ear Candling is a safe and effective method to gently remove excess ear wax and debris. It is the holistic way of treating ear aches, headaches, allergies, tinnitus fungus other common issues related to the ear and more. In 60 minutes we use 1 King Cone Ear Candles per ear which is equivalent to 2.5 standard ear candles. King Cone Ear Candles are premium herbal ear cones to maximize the removal of ear wax, debris, and cleansing of the ear canal. The cones work by placing one end of cone in the ear, and safely lighting the other end. The vapors and heat warm up and soften the wax in the ear, while the flame creates a gentle suction, drawing the wax into the cone. King Cone Ear Candles are made with 100% bees wax, cotton, oregano, eucalyptus, clove, sage, cedarwood, tea tree oil, patchouli, mugwort, lavender, peppermint. You may leave feeling relaxed, balanced and able to hear more clearly. Relax and unwind with this safe and effective procedure to gently remove excess ear wax and debris. Ear candling is the holistic way of treating ear aches and other common issues related to the ear. King Cone Ear Candles are equivalent to 2.5 standard ear candles. We use 1 King Cone Ear Candle per ear. If an additional set is needed during your session an additional cost of $60 will apply. *We do apologize for the price increase due to cost. We offer 8 specific oils applied to the back and feet to provide an excellent source for managing stress, immune support, inflammatory response, and homeostasis (balance). Balance, energize, and detoxify with the Detox Foot Bath. This system is based on thousand year old Chinese (& Eastern) medicine. Make this treatment a great add on to your infrared sauna day. What are the benefits of Ionic Foot Baths? Who can benefit from Ionic Foot Baths? What is an Ionic Foot Bath? An ionic detox foot bath is a natural method of assisting the body in eliminating harmful toxins, heavy metals, fungus, yeast and more. What can I expect after an Ionic Foot Bath session? Most people will feel relaxed, balanced, and focused. Before and after an Ionic foot bath, clients are encouraged to drink plenty of water to assist with releasing . Some people may experience fatigue or headache after a session if they have a lot of built up toxins. Remember many of these toxins are now out of your system which is a good thing. Drinking more water will help alleviate symptoms. How does an Ionic Foot Bath work? Electrical current passes through a set of plates in a module that is immersed in the water inside the foot bath tub. The foot bath water contains a special sea salt, so it has the mineral concentration of water from the ocean. While the client’s feet are in the water, positive and negative ions are emitted by the foot bath system. This re-energizes the body and the red blood cells. It eliminates toxins that are stored in fat, kidneys, liver, bowels, and skin trough the feet. The foot bath also triggers the body’s lymphatic system, which helps with continuing detoxification for up to 24 to 48 hours after a session. The Maui Holistic Garden Center invites you to experience the benefits of our colon hydrotherapy treatments.